One of the most popular new trends for mother’s day gifts is a homemade basket. 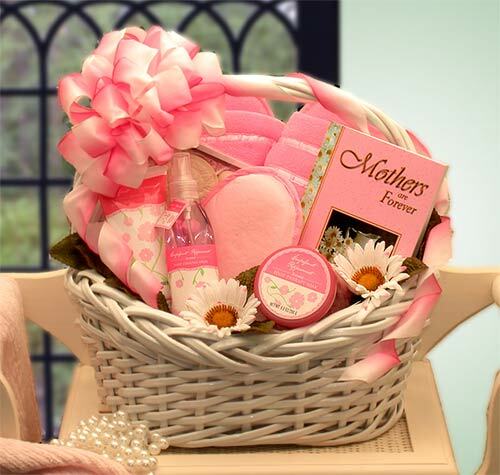 The basket should be filled with all of your mothers’ favorite things. Be creative! Color combinations and decorative touches will make your basket even better. Buying many smaller gifts is often easier than buying one big gift. But, what are your mother’s favorite things? Another wonderful addition to your mother’s day basket is a full, detailed home cleaning. What mom actually enjoys cleaning? Give your mom the best gift of all – a day off. Markatos Services provides detailed, professional residential cleaning that will make the perfect mother’s day gift. Markatos Services also provides window washing, pressure washing, commercial cleaning and handyman services. Call 302.792.0606 today for a free quote. Be sure to ask about the spring bundle package to save BIG and give your mom the ultimate gift! This entry was posted in Cleaning Tips, DIY Projects for Home and tagged Clean, Cleaning, Delaware, gift, gift basket, gift ideas, handyman, Handyman Services, Markatos, mom, mother, mother's day, mother's day gift, Pressure Washing, spring, spring clean, spring-cleaning, Window Washing. Bookmark the permalink.